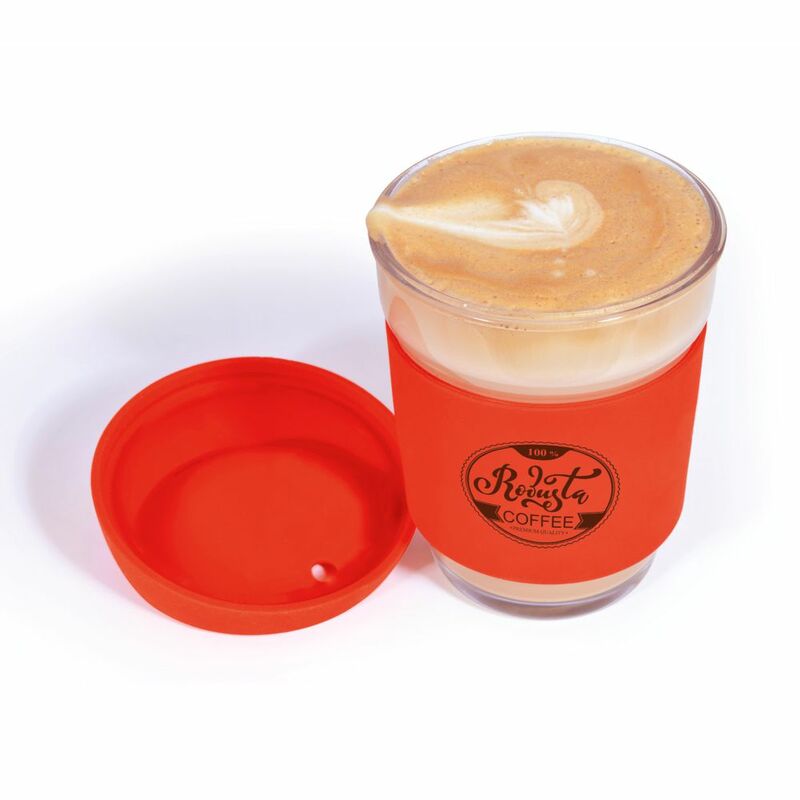 320ml glass- reusable coffee cup with silicone sleeve and lid. Made from durable Borosilicate glass known for its thermal shock resistance. 121 colour combinations available. Nominate your choice of lid and silicone sleeve colours. Packed in matt black window box. One colour print pricing.